Homemade Tzatziki Sauce, It's Refreshing, Creamy & Makes Everything Amazing! Homemade Tzatziki Sauce, It’s Refreshing, Creamy & Makes Everything Amazing! The cat’s out of the bag — Tzatziki sauce tastes WAY better than ranch dressing. This famous Mediterranean condiment is cool, creamy, refreshing, and fully-loaded with flavor! After seeing how easy it is to make you’ll want to eat it all day, every day. Simple ingredients. Simple directions. The garlicky goodness combined with creamy Greek yogurt, in addition to the refreshing cucumber and delicious dill, join to create a thick sauce that’s instantly addictive. Homemade tzatziki sauce is so much better than store-bought. Why waste money when you can make it from the comfort of your home at a fraction of the cost? 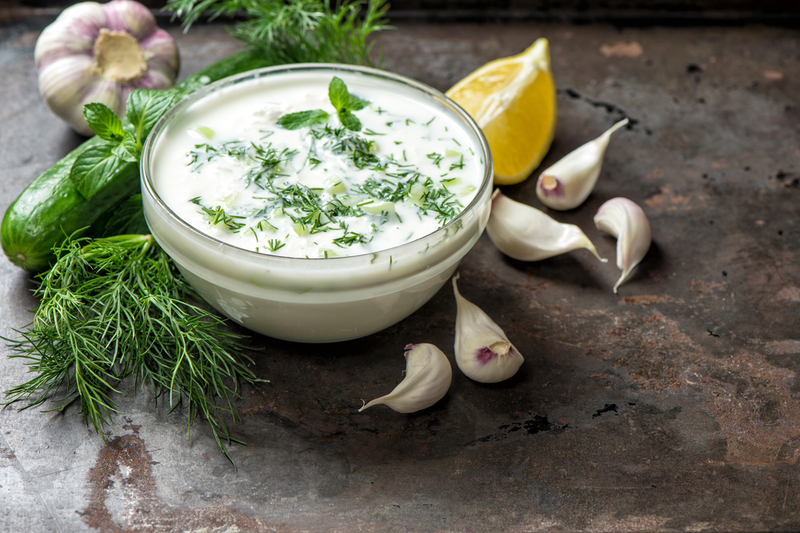 Every tastebud deserves to experience homemade tzatziki sauce! You can dip it, spread it, scoop it. In fact, tzatziki sauce is so delicious you’ll be tempted to drink it! Turn any boring meal into the extraordinary with a dollop of tzatziki sauce. From sandwiches to veggies, rice bowls to salads — tzatziki sauce will magically make whatever you’re eating the most delicious meal in the universe. In a large bowl, combine the Greek yogurt, diced cucumber, lemon juice garlic and dill. Stir to combine. Season with salt and pepper and taste. Adjust salt, pepper or lemon juice depending on your preference. Serve immediately or store in an air-tight container for up to 3 days. SHARE THIS ARTICLE TO SHOW MORE FOODIES THIS DELICIOUS RECIPE!